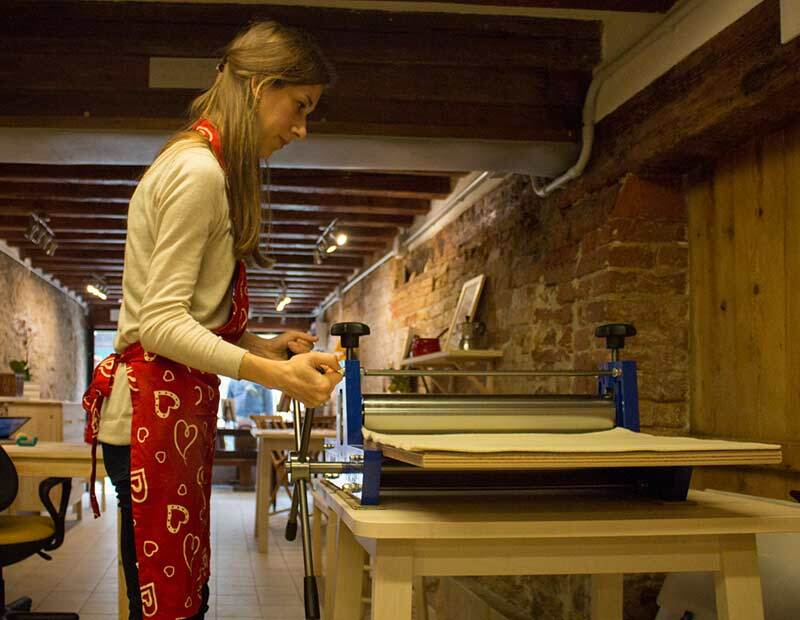 Plum Plum Creations is Arianna’s atelier, a venetian who decided to preserve the ancient art of printmaking in Venice. In her cozy art studio you can find etchings, drypoints, linocuts, as well as watercolors and drawings. Venice is her source of inspiration, and she would like people to know that handicraft in Venice is still very much alive. My passion for what I love. Plum Plum Creations owes its beginnings to the passion I’ve always had for Arts and drawing from an early age combined to the experience I gained attending “etching” and “engraving” courses which introduced me to an almost forgotten and very fascinating Art. As a matter of fact, printmaking mixes together drawing and the processing of the material, which always leads to new and surprising results. 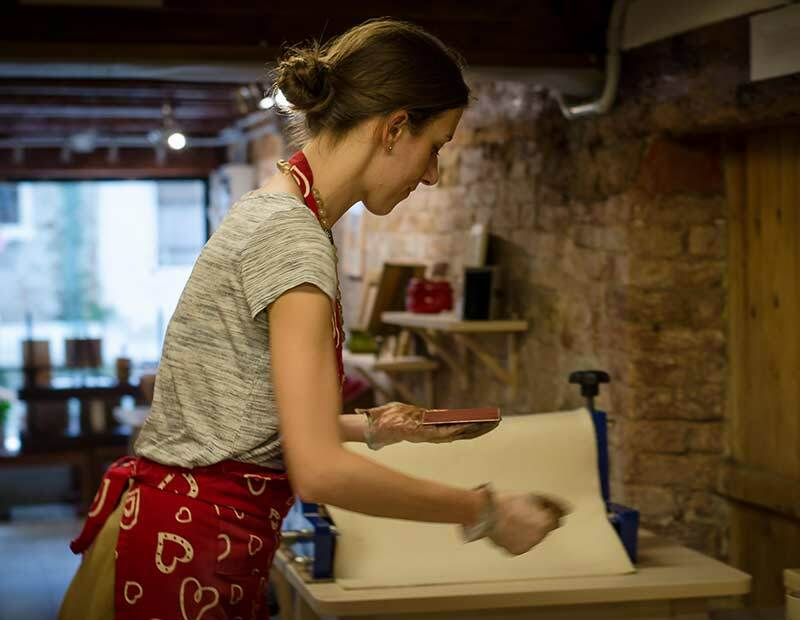 I opened my atelier in 2016 because I wished to have a studio of my own where I could create and try new techniques, and to meet people in person and share different experiences: to that end, I also organize print demonstrations to introduce an ancient Art which has strong historic roots in the country but which unfortunately is almost disappearing. What I can do is trying to keep this ancient art alive with my work and also organizing different types of printmaking courses here at the studio.